We’ve been told that Alexandria Ocasio-Cortez’s “Green New Deal” is an environmental policy designed to end global warming. But yesterday, we got confirmation that it’s much more extreme than that. Ocasio-Cortez released a resolution providing more details behind the plan, and her office issued a series of talking points outlining her goals. 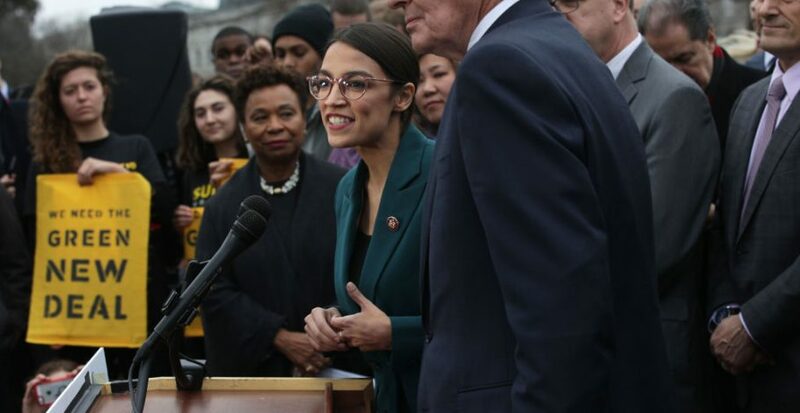 These documents make clear the “Green New Deal” is a green trojan horse designed to bring socialism to America disguised under the guise of idealistic environmental policy. Here’s a list of “environmental” policies the “Green New Deal” proposes. You’ll see, pretty much none of this has anything to do with the environment. How would we pay for all of this? Folks, this is the environmentalist left today. Completely off the rails. And they have finally revealed that their efforts aren’t really about saving the environment at all. Their real goal is a socialist power grab to expand government power, no matter the consequences. Thankfully, Americans are smart enough to see through the ruse.